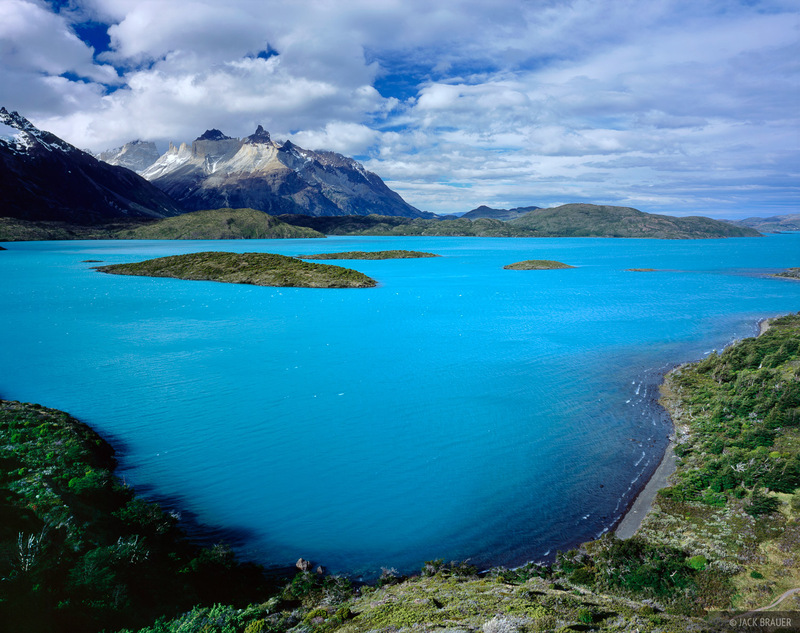 The brilliant blue color of Lago Pehoe with the Cuernos del Paine behind. Torres del Paine National Park, Chile - December. Photo © copyright by Jack Brauer.